The musical, written by William Finn and James Lapine, the latter of whom is directing the production, has not lit up the Great White Way in 25 years. With our excitement brewing, here are seven of our favorite roles Borle has played. 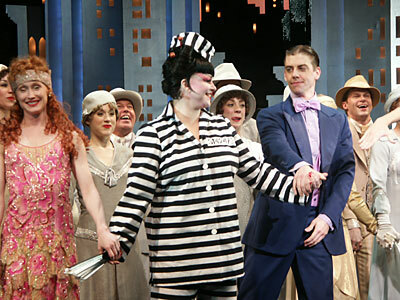 It can be argued that Christian Borle first gained commercial recognition when he stepped in as Gavin Creel’s replacement in the 2006 Broadway production of Thoroughly Modern Millie. Alongside fellow star-in-the-making Sutton Foster, Borle charmed audiences as the suave paperclip salesman, Jimmy Smith. 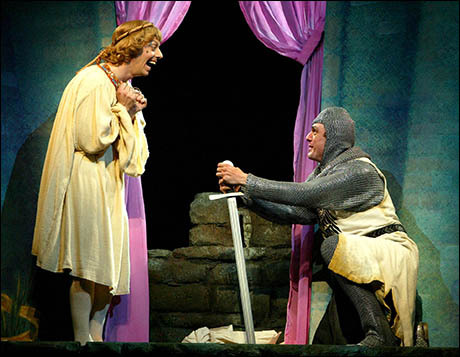 Many remember Borle’s impressive (and hilarious) turn in Spamalot, as Prince Herbert, Not Dead Fred, French Guard, Historian and others showcased his major comedic chops as well as his versatility. 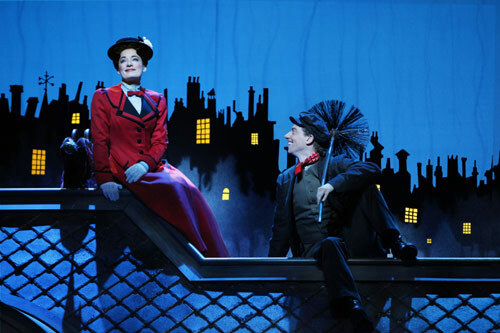 In 2006, he replaced Adam Fiorentino in the role of Bert in Mary Poppins on Broadway, opposite Laura Michelle Kelly in the title role. He played the leading man and narrator with a dewey-eyed sweetness no one could resist. 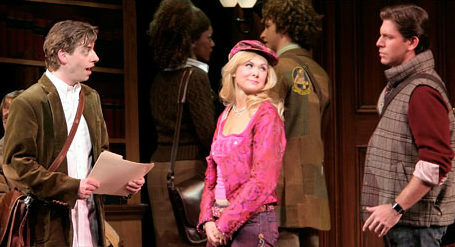 Playing unlikely love interest Emmett in the musical adaption of Legally Blonde on Broadway proved a very smart move for Borle, as the portrayal earned him his first Tony Award nomination, and a new mass of adoring fans. Borle took on the central role of Prior Walter in Signature Theatre’s 20th Anniversary production of Tony Kushner’s landmark play Angels in America. Borle won audiences over with his committed and heartbreaking performance. 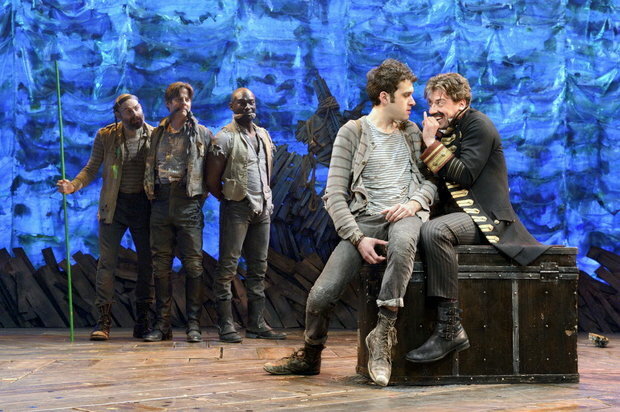 Christian Borle played Black Stache in Peter and the Starcatcher on Broadway, after having originated the role in both the regional and Off-Broadway productions. A true star-making turn for Borle, he received his second Tony nomination and first Tony win for Best Performance by a Featured Actor in a Play. 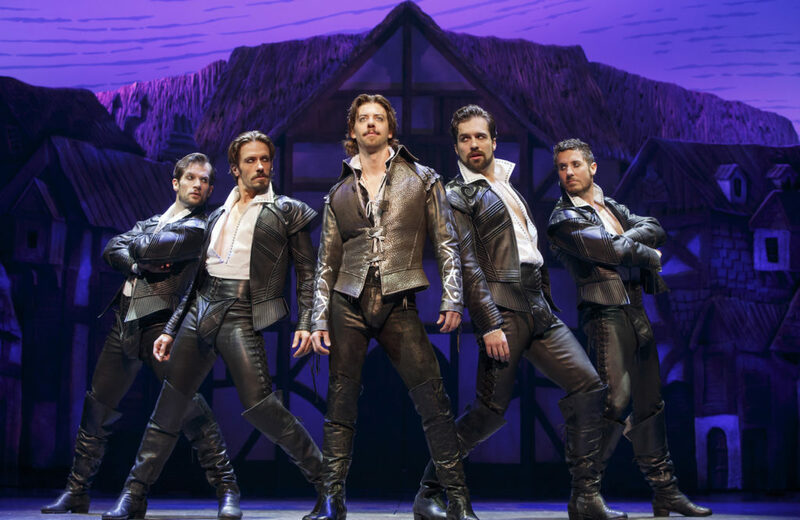 Most recently, Christian Borle originated the part of William Shakespeare in the musical comedy Something Rotten!, which deservingly earned him his second Tony Award. His brilliantly narcissistic take on The Bard won’t soon be forgotten. Falsettos begins previews September 29 and opens officially on October 27. Don’t miss Christian’s next Broadway performance. Get tickets on TodayTix.